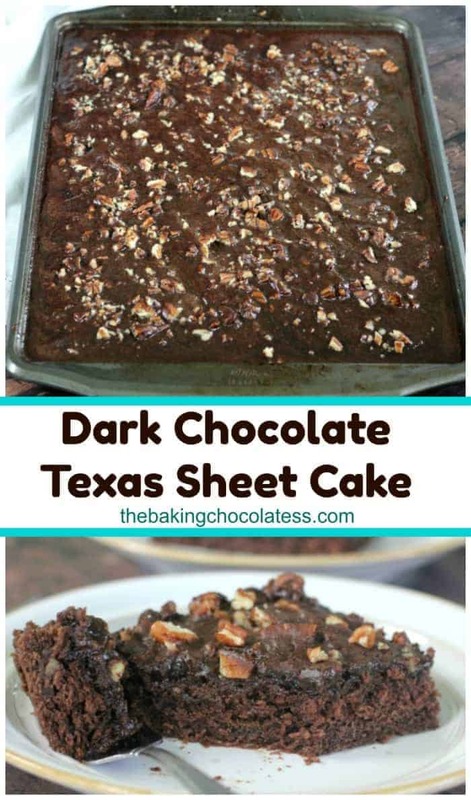 My husband has been begging for a Texas Sheet Cake, probably since last summer. I finally got around to it. 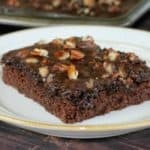 Southern Dark Chocolate Texas Sheet Cake. Ok, it’s a year later…Good thing I’m not a procrastinator. 🙂 Hmm…right? So, you know me, I had to change it up. Give it a little modern twist and also find a way to sneak more chocolate in. Have you met Dark Chocolate? We’re besties!! We’ve been together with BFF Dark Chocolate Chip Oatmeal Cookies, Dark Chocolate Silk Pie! It’s Delectable and Thin Mint & Andes Dark Chocolate Brownies, just to name a few. So, let’s go back in my retro time warp to my earlier days. The popular version we always made was similar to this recipe over at Yesterfood, using cinnamon and buttermilk in the cake, besides the obvious ‘chocolate’ baking cocoa. It’s wonderful and my mother made it often. Amazon Affiliate links are used on my post, see my non-disclosure for more details. 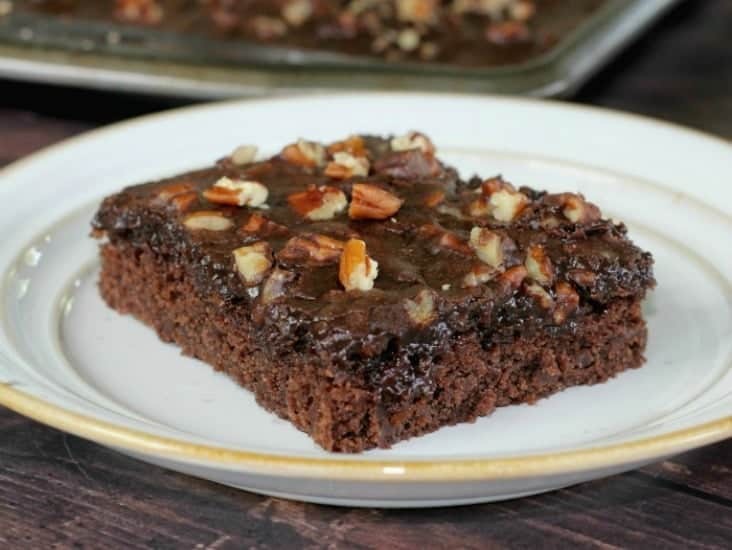 So, now my question to you is…Have you ever tried Texas Sheet Cake with sour cream instead of buttermilk? Try it! Ummmseriously! 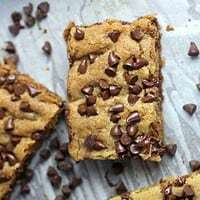 I was intrigued by this recipe over at Tori Avey, because #1. I had some sour cream I wanted to use up and #2. I’ve never had Texas Sheet Cake with sour cream in it, always buttermilk, so I think it was meant to be. And notice in this recipe, there is no cinnamon. You can add it, but to tell you the truth, WE didn’t miss it at all. In fact, there was no mention…hey is something missing? Nope. My husband liked this version better than the one we grew up with that had cinnamon and buttermilk. And the sour cream just adds a lightness and it’s so moist. I agreed with him. I did like this one just a tad better. I used 2 kinds of chocolate baking cocoa , (one being extra special dark) and then chocolate extract to enhance this Southern beauty. Use whatever you have on hand, but I love that Hershey’s Special Dark Baking Cocoa . Can’t get enough of it! It gives it that rich, dark color and flavor that is so appealing, don’t you think? I used it in these Intense Dark Chocolate Mocha Latte Cookies too. It’s rich, moist, delicious chocolatey cake (not overwhelming at all!) and that frosting soaks down in the cake and it’s awesome! Try it warmed up in the microwave for 20 seconds or so for an added treat. Mama Mia! It’s a quick and easy dessert and because of the ease of preparation and its versatility, makes it perfect for entertaining. 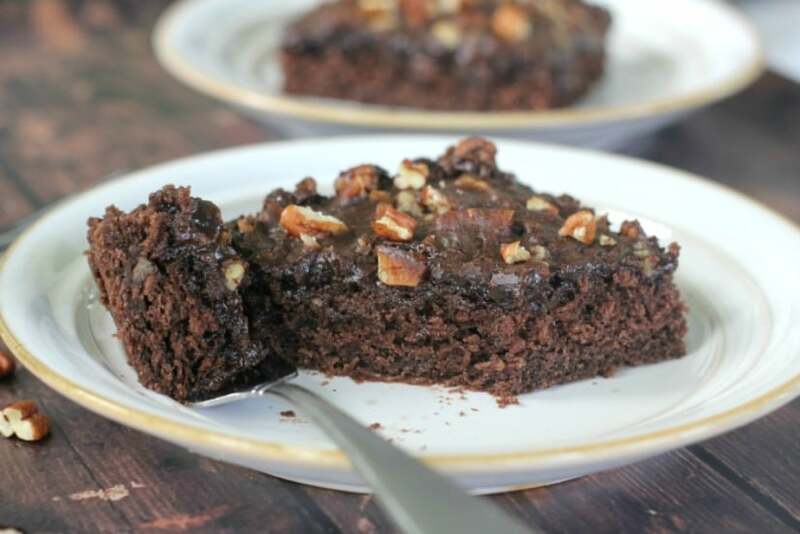 Southern Dark Chocolate Texas Sheet Cake is definitely a crowd pleaser! Pre-heat oven to 350°F and spray a 13-inch x 18-inch x 1-inch jelly roll pan with non-stick cooking spray. In a large bowl, whisk together the flour, sugar, baking soda, and salt until well combined and set aside. In a medium saucepan, melt 1 cup of butter, water, and both cocoa powders over medium heat, and then bring the mixture to a boil, stirring often. Make sure it doesn't boil over. Remove from the heat and add to the flour mixture and mix until combined, then add the sour cream, eggs, and vanilla and mix thoroughly. Spread the cake batter into the prepared pan and bake for 20-22 minutes. Check cake for done-ness by pressing gently in the center of the cake with your index finger, until cake springs back and the edges of the cake are coming away from the sides of the pan. In a medium bowl combine melted butter, milk, and both cocoa powders and whisk together until smooth. Add the powdered sugar to a large bowl and add the butter mixture and chocolate extract. Whisk until no lumps remain and cover with plastic wrap until the cake has finished baking. 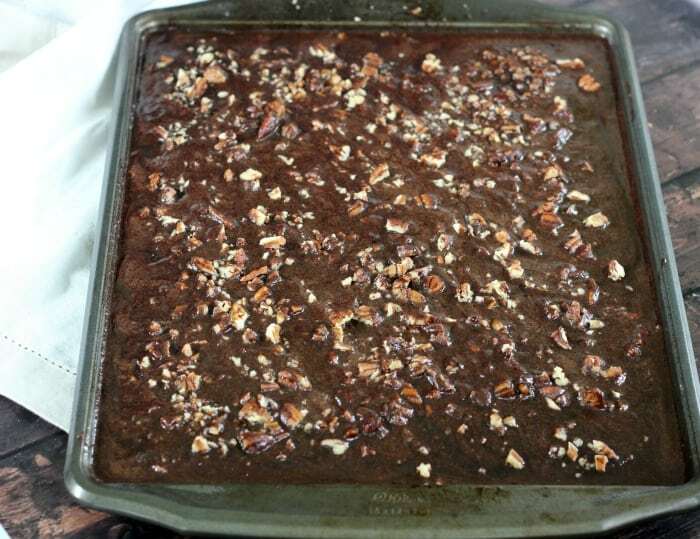 (you can add in 1/2 pecans now and on top of cake or add all into the frosting or sprinkle on top after frosting). Pour the frosting on the cake as soon as it comes out of the oven. Spread the frosting to the edges of the cake. 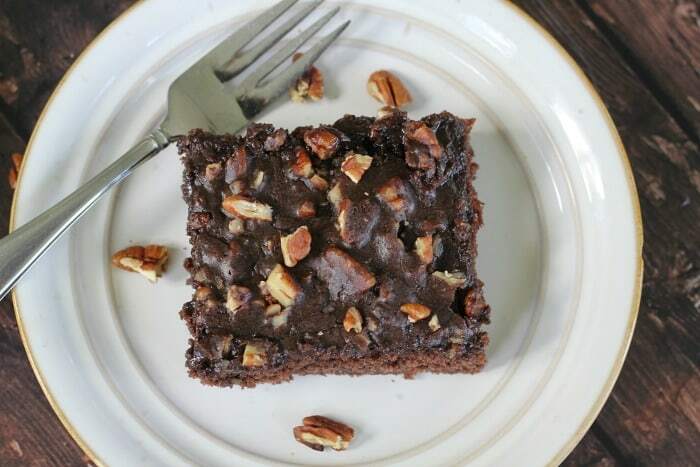 Sprinkle toasted pecans over frosting as soon as you frost cake while cake is still warm. If you don't have the Special Dark, you can just use regular unsweetened cocoa powder. Awww…thank you Kelsie! That sour cream is the bomb!! 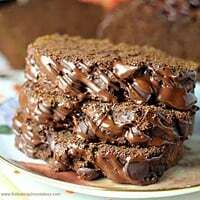 I have never tried chocolate sheet cake with sour cream! But I can only imagine it would make it moist and delicious! Great idea! And by the way, dark chocolate is MY bff so…..we might have a problem. Haha!! Have a great weekend!! Ugh oh…Do you think there’s enough dark chocolate around to share?? 🙂 LOL! Have a great weekend Katherine! Wow, I am surprised you’ve never had it! Maybe it’s not a cali thing. 🙂 It’s wonderful though! Hope you have a great weekend Kelly! !